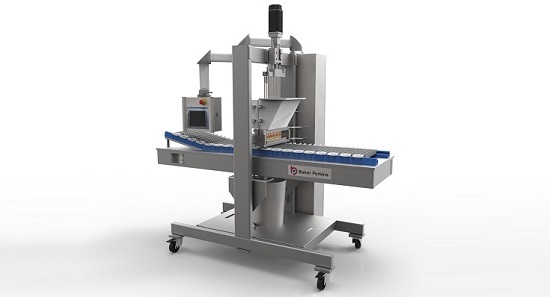 A new flexible depositing system capable of producing a wide range of hard candy, soft candy and lollipops at outputs up to 54kg/hr has been introduced by Baker Perkins. 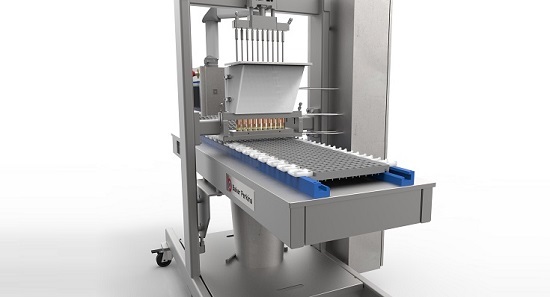 The ServoForm™ Mini brings the benefits of depositing to companies producing confectionery in small batches, including manufacturers of medicinal and healthcare products. It is also an ideal development tool for established producers. Piece weight range is 3 to 8g (0.1 to 0.28oz) for candies and 8 to 30g (0.1 to 1.05oz) for lollipops. At 54kg/hr this translates to 10,800 pieces per hour of 5g (0.17oz) candies or 5,400 pieces per hour of 10g (0.35oz) lollipops. 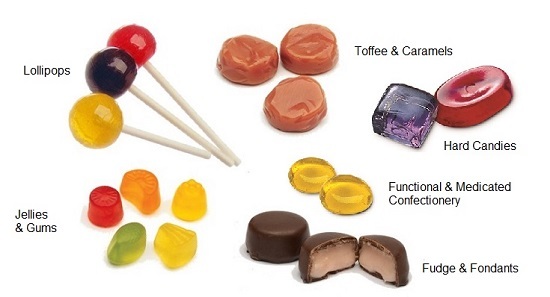 The range of product possibilities includes hard candy, lollipops, jellies, gums, caramels, fudge and fondant. The ServoForm™ Mini is ideal for functional and medicated products such as vitamin and mineral supplements, cough candy and throat pastilles; candies can be made with sugar or be sugar free. Simplicity of operation and flexibility are key benefits. Control of the depositing process is fully automatic with recipe storage and recall enabling the depositor to be set up at the touch of a button. Batch or continuous cooking may be used. Moulds are loaded manually onto an indexing conveyor that is synchronized with the depositing head to ensure that the cooked syrup is placed accurately into the mould with no waste. Cooling can be ambient or refrigerated, using either rack or tunnel coolers. The candies are then demoulded by hand and passed to the wrapping station. Compared to conventional methods such as die forming, starch mogul or cut-and-wrap, depositing provides a high quality, smooth product with accurate weight, size and shape characteristics. The process offers rapid payback through minimal scrap, low production costs and hygienic operation.